The Audubon Experience is the best value! Visit Audubon Zoo, Audubon Aquarium of the Americas, Entergy Giant Screen Theater and Audubon Butterfly Garden and Insectarium for one low price. Audubon Nature Institute is a family of ten museums and parks dedicated to nature. They serve their visitors, their community and their world as an educational resource, an environmental guardian, a leader in economic development and a venue for family entertainment. With the Audubon Experience, you receive admission to 4 of the most popular museums once (listed below), for one low price and 45 days to visit. Located in the U.S. Custom House on Canal Street. You are encouraged to use all five senses as you explore North America's largest museum devoted to insects and their relatives. 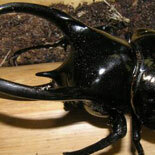 You will discover why insects are the building blocks of all life on our planet and along the way, you will be shrunk to bug size; wander through a mysterious Louisiana swamp; join the active audience of an awards show for bugs, by bugs; and be captivated by thousands of butterflies in an Asian garden. This serene, Asian-inspired garden flutters with life as butterflies swoop and soar from one flower to another or perhaps even resting for a moment on the shoulder of a visitor. 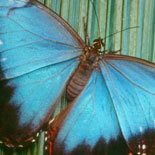 Close encounters with these beautiful creatures provide vivid memories that last a lifetime. Voted "A top museum for you and your kids" by CNN.com, 2009. Audubon Butterfly Garden and Insectarium is located a few blocks from Audubon Aquarium of the Americas in downtown New Orleans. Located in historic Uptown New Orleans the zoo offers an exotic mix of animals from around the globe, engaging educational programs, hands-on animal encounters and lush gardens. Unique natural habitat exhibits - such as the award-winning Louisiana Swamp and Jaguar Jungle showcase the relationship between people and nature. Don't miss the sea lion and elephant presentations; highly endangered whooping cranes, Amur leopards and orangutans; the white tiger; and the mysterious white alligators. 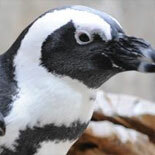 Audubon Zoo is often ranked among the country's best for innovation and entertainment value! 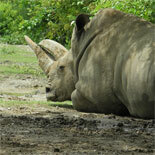 Audubon Zoo is located in historic Uptown New Orleans on Magazine Street between Walnut and Calhoun Streets. Located on the Mississippi River adjacent to the French Quarter, Audubon Aquarium of the Americas immerses you in an underwater world. The colors of a Caribbean reef come alive in the walk-through tunnel, while the penguins and Southern sea otters enchant you with their antics. 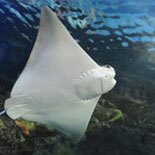 Touch a sting ray, feed a parakeet, and marvel at our gigantic sharks,sea turtles, tarpon, and rays in the 400,000 gallon Gulf of Mexico Exhibit. Audubon Aquarium of the Americas is located in Downtown New Orleans where Canal Street meets the Mississippi River. Get your eTickets for the Audubon Experience today. 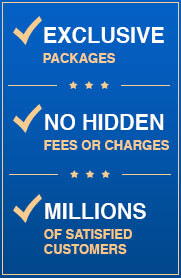 This package saves you at least 33% off of regular admission to the 4 museums. It it is great family fun with fantastic learning experiences. 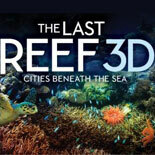 The Last Reef 3-D: Get your eTickets for the Audubon Experience today. 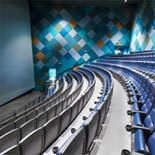 Entergy Theater: Tues-Sun from 10 am-5 pm. SUMMER: All attractions open Mon-Sun from 10 am to 5 pm. 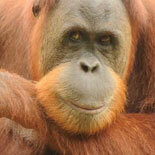 Zoo open Sat-Sun from 10 am - 6pm. Parking discounts are subject to change without notice and are often not applicable on major holidays or festival days. ~ Self-parking is $5 off at the JAX Brewery Parking Lot (311 County Street), Sugar Parking Lot (100 Conti St), Badine Parking Lot (111 Rue Iberville St), and Canal Place Parking Garage (100 Rue Iberville St). ~ At the Hilton Whale Wall Lot (728 Convention Center Blvd) and World Trade Center (2 Poydras St), self-parking up to 6 hours is $8 with validation. Over 6 hours, regular rates apply. ~ Parking tickets must be validated at the Aquarium, IMAX; or Butterfly Garden and Insectarium to receive the parking discount. 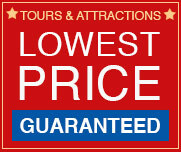 Visiting Tips- For the best experience, visit during weekday afternoons. Handicap accessible. Strollers and wagons are allowed. They are available for rent at the Information Booth. A limited number of wheelchairs are available for rent. Photography (including flash) is permitted. "Smoke-free" facilities.